No one likes to trek out to the propane or heating oil tank in the middle of winter to see how much fuel they have left – or even worse, to find out that the fuel has already run out when their shower suddenly runs cold. That’s why Cherry Energy offers a convenient Auto-Fill delivery option to take the hassle out of ordering propane and heating oil for your home. With Auto-Fill, Cherry Energy will schedule deliveries based on your average fuel use and weather conditions, usually getting your propane or heating oil to you when your tank is about one-quarter full. With Will-Call service, you are responsible for monitoring your tank and for calling Cherry Energy to schedule delivery. 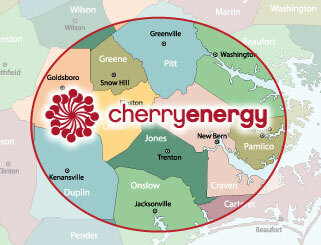 Cherry Energy asks for advance notice of 5 business days to deliver your propane or heating oil. Our deliveries are planned in advance based on demand and truck capacity. Call when the level of your tank is at most one-quarter full. Cherry Energy is not responsible for run-outs if you do not provide enough lead time for delivery. Emergency delivery options are available. All Will-Call deliveries have a delivery fee based on the number of gallons delivered. Sign up today for Auto-Fill from Cherry Energy and never worry about ordering propane or heating oil again! * If an automatic delivery customer runs out of fuel, and usage patterns have not changed significantly, Cherry Energy will immediately dispatch an on-call driver to refill the tank, relight the burner (at no charge) and then credit the customer $50 for the inconvenience. This guarantee does not apply to tank sizes of 123 gallons or smaller.